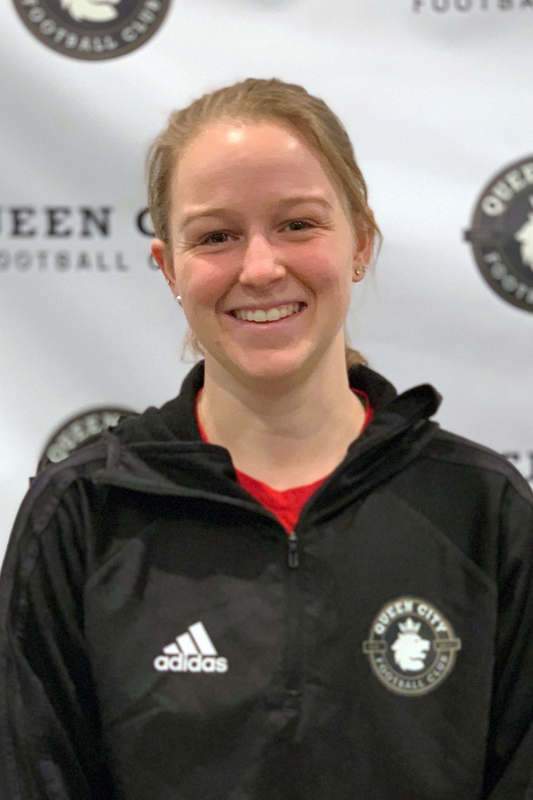 A Bedford, NH native, Ouellet has worked with several girls teams for Queen City FC in both the spring and fall seasons, and is the club’s Girls Director of Goalkeeping. Currently, Ouellet is the Head Girls Soccer Coach at Rice Memorial High School, and previously served as the goalkeeping coach at Burlington High School. In both season at the Helm of Rice Memorial she has led the Green Knights to the Vermont Division II State Championship game. In her first season (2017) with the Green Knights, Ouellet led the team to its first State Championship in 18 years. The Green Knights fell in penalty kicks to Milton in the state final after 2OT's and a 0-0 score. The team finished with a 15-3 record, and Ouellet was named the 2017 Lake Division Coach of the Year. In the 2018 season, the Green Knights fell 2-1 in 2OT. Ouellet spent her playing career at Saint Michael’s College, where she was the Purple Knights’ starting goalkeeper. Coach Aubrey holds a USSF E License.